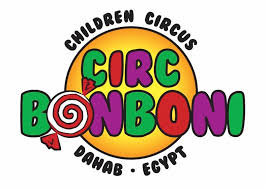 The Circ Bonboni is a children’s circus. It was founded by three Swiss women living in Dahab. The little artists also come from this Egyptian town. Dahab is located in the south of Sinai, surrounded by the sea, mountains and desert. Dahab is populated by Bedouins, Egyptians and people from all over the world. There are now 30 different nationalities living in the town. Many multi-cultural families want to offer their children something special, both socially and culturally. In 2005 the idea of founding a children’s circus, aided by a Swiss teacher and circus artist, started to grow. Performers were to be the children who live here. From January to April 2006, the initiators gave workshops for 30 children. In May there were three very successful Circ Bonboni performances. This experience encouraged the founders to make the circus a yearly project.